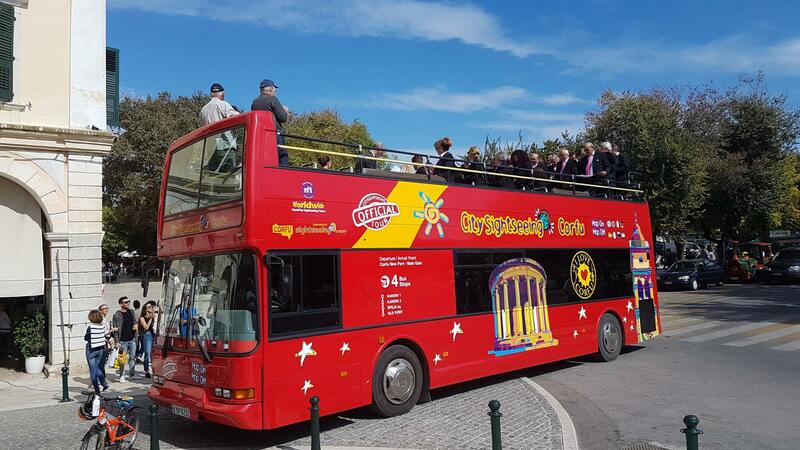 The City Sightseeing tour of Corfu offers the perfect way to see the sights and sounds of the city. 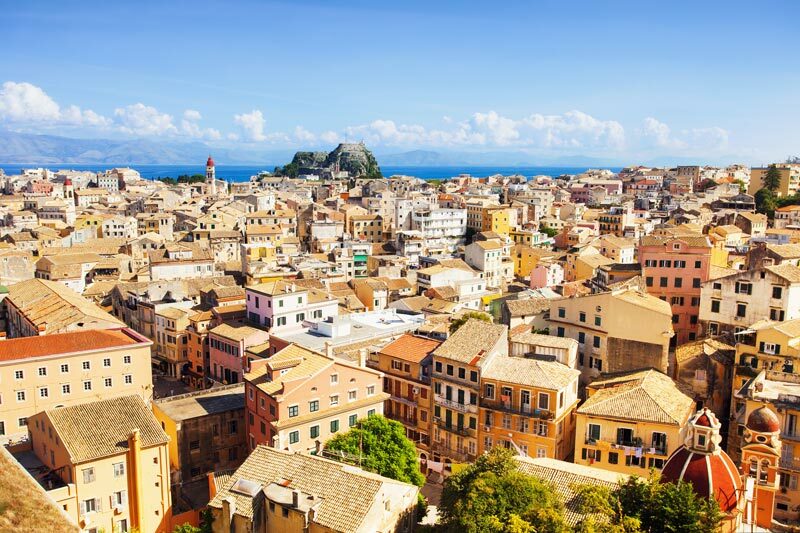 See and hear Corfu’s history and experience the famous sights and monuments aboard our double decker buses, which will pick you directly on your cruise terminal. Our daily ticket gives you the flexibility to explore all the bus stops at your leisure and at your own pace. Access to 2 bus tours routes & 10 stops around Corfu. Create your own itinerary to explore the Island. 24h Unlimited Hop-on Hop-off bus tour with 360-degree panoramic views of Corfu Island. Next up at Bus Stop 7 is Spilia Square, where you’ll find the new fortress of Corfu so relax, unwind, and take a leisurely stroll along the grounds to enjoy the magnificent views of the Old Town. 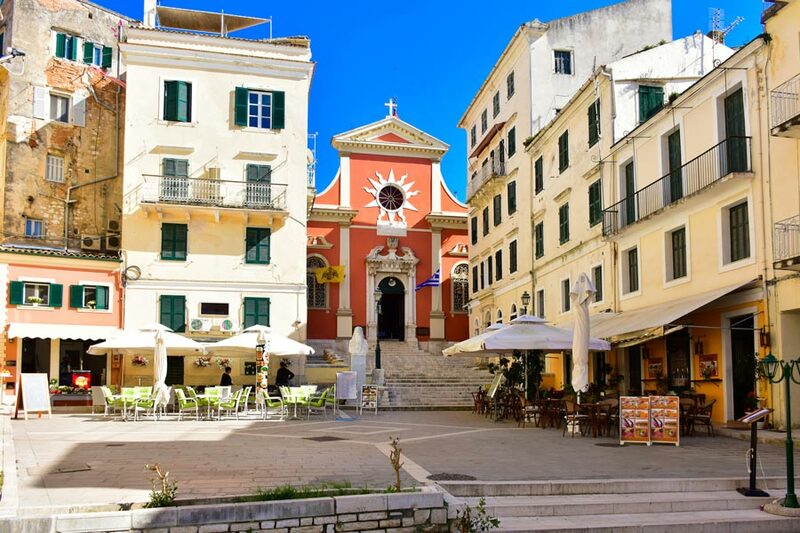 The Old Town has been a World Heritage Site by UNESCO since 2007 and its unique architecture and a plethora of Venetian and Anglo-French elements, puts it at the centre of Corfu’s heritage. Last on the agenda is Old Port at Bus Stop 8 where you can soak up the sunshine and enjoy the sea breeze! Get your ticket online today. 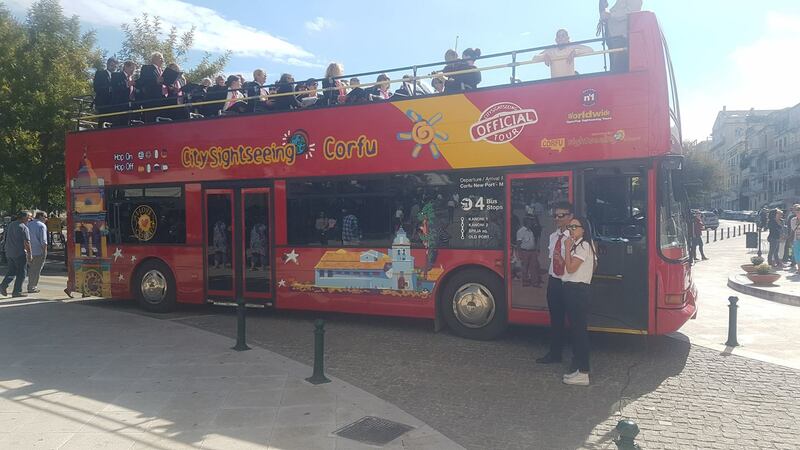 Customers will find the City Sightseeing Corfu buses at: Corfu New Port – Main Gate. The tour departure point is 100m away from Cruise Terminal building exit. 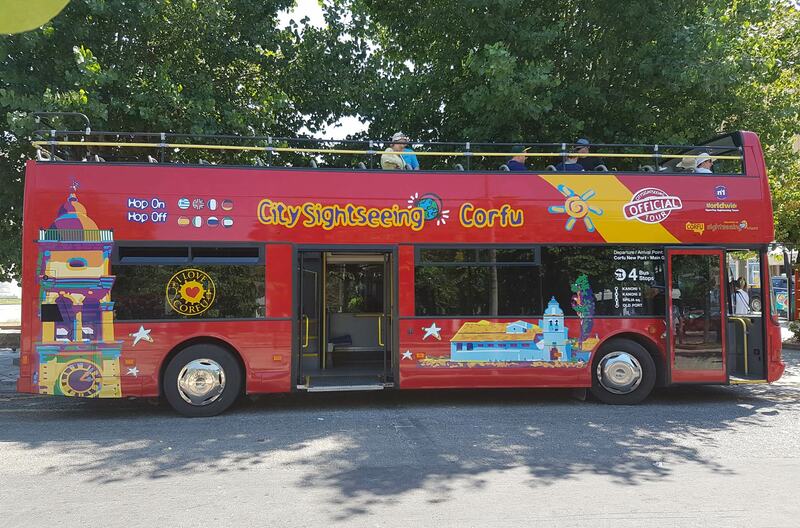 Customers will see the City Sightseeing Corfu staff outside of the buses. They also have an office located at Cruise Terminal Building (Office 5). If you don’t have much time to explore Corfu to the fullest, then don’t worry! We recommended that you hop-off at these 3 very special attractions. First up is Corfu New Port at Bus Stop 1, enjoy the seaside views before we pick you up at this stop and begin the journey! One must-see attraction is Spilia Square at Bus Stop 7, a pretty square with lots to do! Nearby is the church of Tenedos and an old Greek fortress that you can explore around. At Bus Stop 8 you’ll get to experience the ambiance of the famous Old Town, just off the coast of the Adriatic Sea. Why not complete your Corfu experience by choosing from a range of extra activities available? You’ll see a list of all the things you can do at the check-out page online as you purchase your Hop-on Hop-off ticket! Buy your Hop-on Hop-off ticket along with an extra activity entrance ticket and you’ll save yourself up to 20% with our combo savers! Are you arriving by Corfu on a cruise ship? 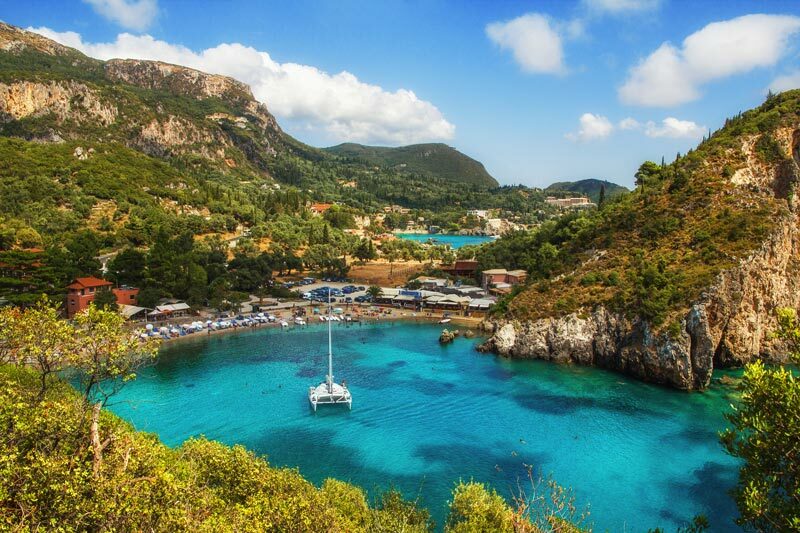 Well then this Hop-on Hop-off bus tour around Corfu is the perfect trip for you! Just hop-off your cruise ship on arrival and hop-on to our red open top buses, you’ll see them straight away! We’ll pick you up at Corfu New Port by the Main Gate. The tour departure point is only 100m away from the Cruise Terminal building exit. Our staff members will be waiting for you! For more information, you can visit our office located right at the Cruise Terminal Building, Office 5. For more information click on the Live Chat Button ! !